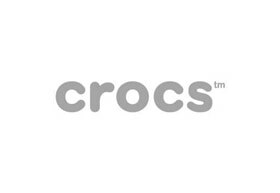 Crocs, Inc. is a world leader in innovative casual footwear for men, women and children. Crocs offers a broad portfolio of all-season products, while remaining true to its core molded footwear heritage. All Crocs™ shoes feature Croslite™ material, a proprietary, revolutionary technology that gives each pair of shoes the soft, comfortable, lightweight, non-marking and odor-resistant qualities that Crocs fans have know and love. Since its inception in 2002, Crocs has sold more than 300 million pairs of shoes in more than 90 countries around the world.